The Dustin and Stacey Show! : We're back! So it's been forever and a day since this thing has been updated. Sorry! It's not that we don't have things to talk about. We've actually been pretty busy around here lately. We're planning a move to Branson, Missouri. Dustin's finishing up paperwork and contract stuff related to graduating from residency and starting his new job in August or September. We're starting to think about getting our house ready to put on the market. AND we're planning the arrival of a new little baby in August. We apparently like to group big events in our life together. Whew! The next few months are going to seem like a whirlwind! Diesel's pretty excited about being a big sister. She's already planning on giving as many doggy kisses as we'll let her and sneaking in some sister snuggle time. And she's really looking forward to stealing little bits of food and treats from the little bitty paws/fingers. 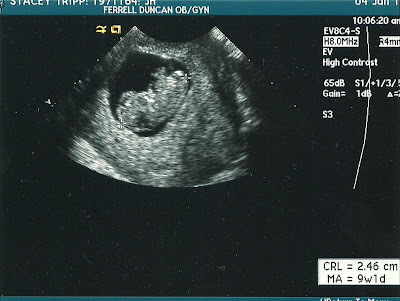 Here's a pic of the new little soon-to-be Tripp in case you're interested. It was taken at about 9 weeks old. 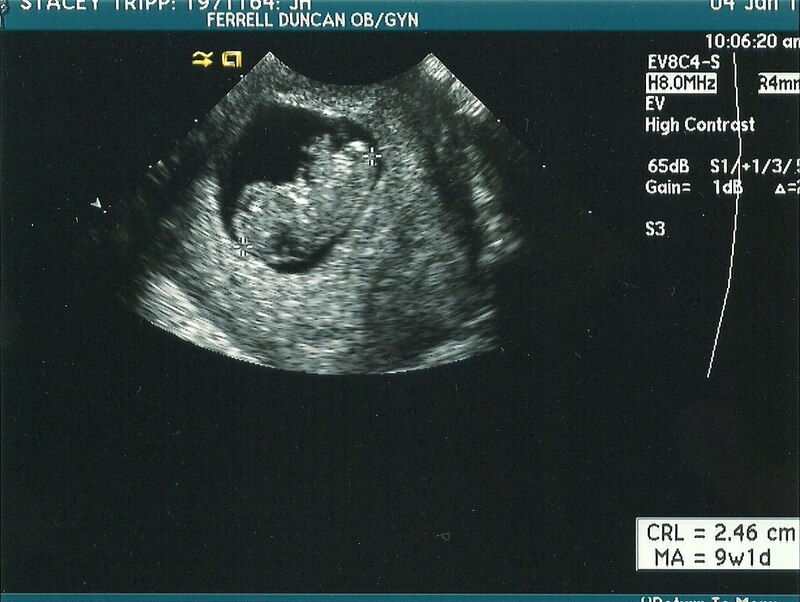 We're 17 weeks now and should have a new pic soon.